Some videos are just too awesome to not be shared and this one falls right into that category. 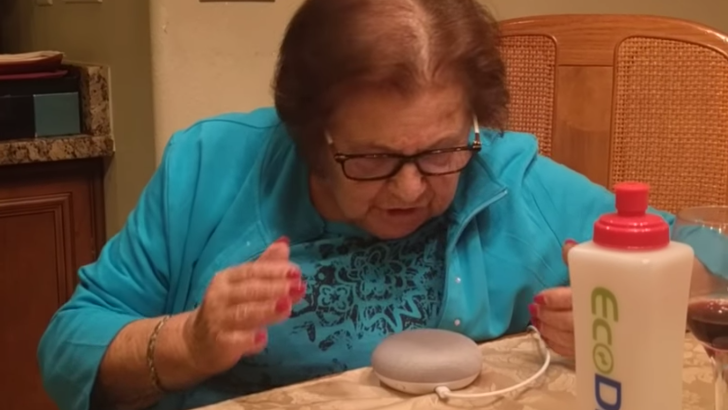 It's a grandma (she's Italian, you'll notice some Italian dialect in the video) figuring out how to use a Google Home for the first time, and the whole video is filled with her saying "Hey Goo-Goo, Okay Goo-Goo." It's just adorable. I laughed, I teared up a little (my grandma died right before Christmas and this video brought bittersweet memories), I laughed again, and I just felt an urge to go hug her and tell her she's awesome for putting up with these quirky gadgets we use, the usability of which we take for granted. Also, you can tell that she's the life of every family gathering. Grandmas are awesome and I kinda want to be her one day.